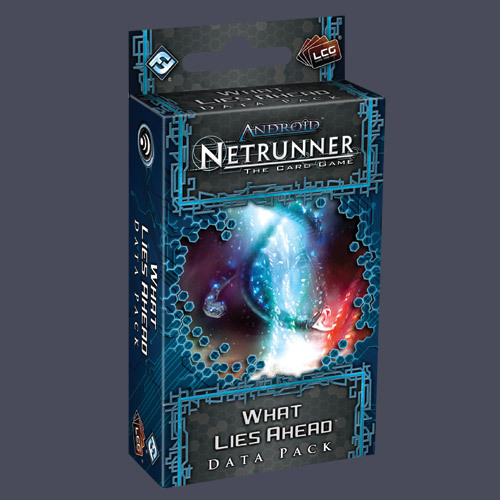 What Lies Ahead adds muscle and theme to each of the seven different factions in Android: Netrunner. Its sixty new cards (three copies each of twenty different cards) intensify the game's action as each of the corps receives a new agenda and a flavorful piece of ice, perfectly tailored to its base strengths. On the other side, the runner factions launch into the ongoing cyberstruggles with new icebreakers and support cards. Meanwhile, fans of the Anarchs and Haas-Bioroid should find the Data Pack particularly rewarding as each gains a new identity. CONTAINS CARDS 1-20 of the "GENESIS CYCLE."